Don't miss your chance to explore one of Norfolk's most enchanting one-of-a-kind wedding venues. Leading vintage fair organisers Britain Does Vintage has organised a wedding fair and open house at Voewood, a magical setting for a wedding with a difference tucked away in the woods in High Kelling near the North Norfolk Coast. Open from 11am to 3pm on Sunday 10th February, 2019, entry is free and visitors will not only be able to discover the beauty of the venue, but also meet some of Norfolk's finest creative wedding suppliers. 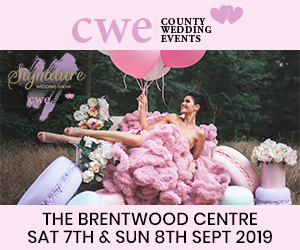 Take the whole wedding squad and be inspired with special features and attractions planned throughout the event including interactive masterclasses, live music, sweet treats galore, show exclusives and venue tours.